In the upcoming episode we’ll look at the Ancient Pirates of the Mediterranean and the powers that had to deal with them, or at least…tried to deal with them. I’ve made two maps that will help explain the locations we’ll be talking about in the Episode. 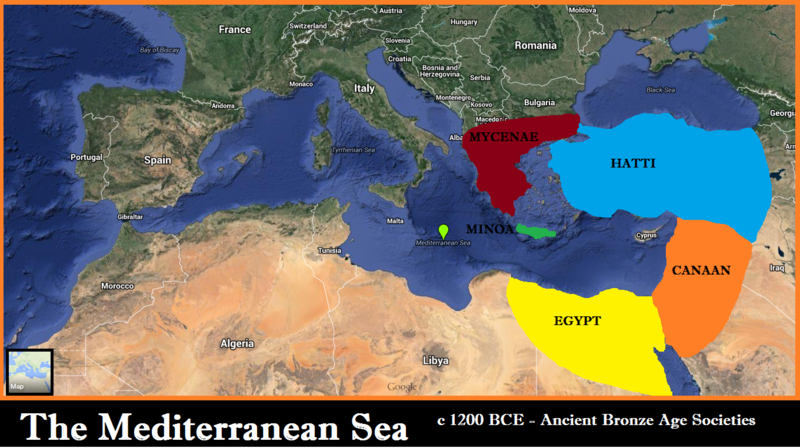 This Map shows the Bronze Ages Societies that had to deal with The Sea Peoples. Its interesting that the destruction and collapse of these Bronze Aged societies all starting from around the same time, in the years around 1200 BCE and within a 50 year period the Mycenaean‘s, Minoans, and Hittites disappeared, along with most of the Canaanites, leaving the Egyptians, who after the encounter were never really the same again. 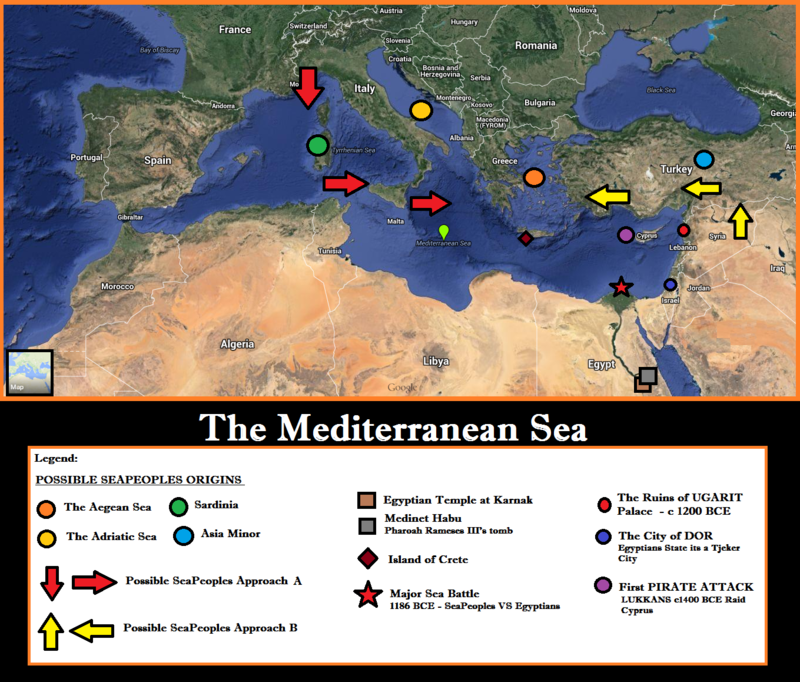 Episode 2 Highlights, including Key Cities, Battles, and Possible directions of the Sea Peoples Attacks/Migrations. Episode 2 – Ancient Pirates & The Quest for Stuff will be released ASAP. I absolutely love this podcast. I’ve been a big fan of pirates ever since I was a kid and now I actually get to know more about them. glad to hear it Jonathan, Thanks for listening. Welcome to the crew!